Alanna Demetrius | The Phoenix The state's busiest cannabis dispensary is located in Andersonville, a neighborhood near Loyola. The busiest medical cannabis dispensary in Illinois, Dispensary 33 — located just two and a half miles from Loyola’s Lake Shore Campus — might start attracting more crowds. Democrat J.B. Pritzker’s win over Republican incumbent Bruce Rauner for Illinois governor means recreational cannabis could soon be legalized in the state. Pritzker has openly endorsed the legalization of recreational cannabis. The drug has been legal for medical use for people with serious medical conditions since 2014, according to Illinois.gov. Elias Mixon, a first-year born in Chicago, said he thinks legalizing cannabis for recreational use will make it safer and increase education on how and when to use the drug. During the race, Prizker spoke on his support for legalizing recreational cannabis outside of Andersonville’s Dispensary 33. The shop was the first medical cannabis dispensary in Illinois. There were around 6,600 medical cannabis patients in Cook County in 2017, according to the Illinois Department of Public Health (IDPH). Loyola doesn’t allow any form of cannabis on campus, even for students who obtain it legally with a medical card, according to Loyola’s safety net coalition. This rule is in compliance with the federal Controlled Substances Act, the website states. Loyola junior Gabby Krochmal said she believes students who are prescribed cannabis for medical use should be able to have it on campus. Qualifying conditions for getting a medical cannabis card include AIDS/HIV, cancer, post-traumatic stress disorder, Tourette’s syndrome and others, according to Dispensary 33’s website. A customer with a qualifying condition must have a doctor certify their need for medical cannabis and must fill out an application in order to get their card, according to the website. Krochmal, 20, said she’s seen the benefits of medical cannabis through people close to her that use it. Richard Park, who’s in charge of operations, training and education at Dispensary 33, said the medical cannabis dispensary is different than others in Illinois because of its transparency with its customers and the neighborhood. 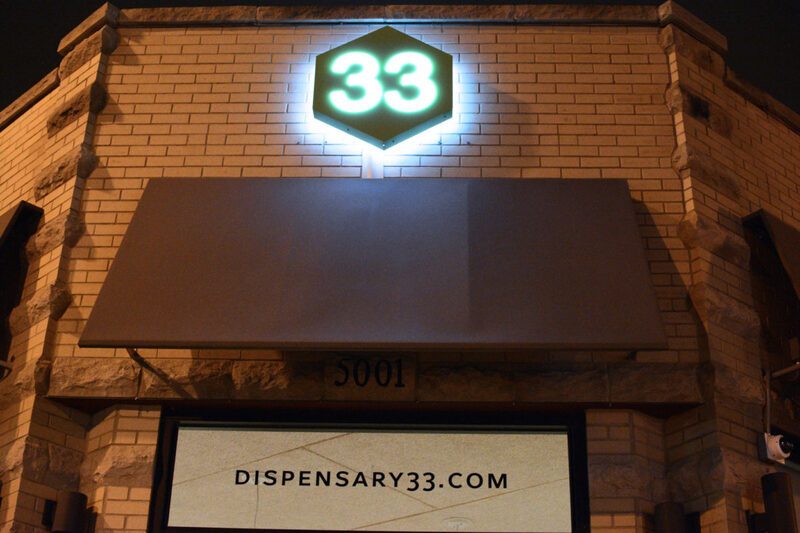 Dispensary 33 serves the most patients out of all dispensaries in Illinois, according to the IDPH’s Annual Medical Cannabis Registry Program Report. The store serves more than 1,000 individual patients, the report said. Park grew up in Chicago’s Uptown neighborhood and has previously owned businesses in the area. He said Dispensary 33 has an overwhelmingly positive relationship with residents in and around Andersonville. If recreational cannabis is legalized in the state, Park said Dispensary 33 would have to increase staff and registers in order to accommodate recreational as well as medical customers. However, the details of the switch are still unclear. “While we are very confident that adult use cannabis will pass, we don’t know what the rules are going to be,” Park said. In a statement to The Phoenix, Brian Houze, interim director of the Office of Student Conflict and Conflict Resolution, said it’s too soon to say whether Pritzker’s win will affect rules about cannabis on campus. 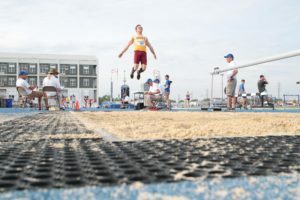 “It is too early to ascertain what impact, if any, a change in state law would have on the community standards or on Loyola’s campus environments,” Houze said.